Archives for 2019 | What Is New With NeoFinder? We are happy to announce the new NeoFinder 7.3.3! 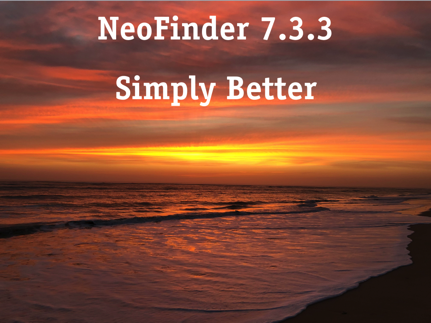 NeoFinder 7.3.3 contains a lot of small fixes and improvements, but also some very interesting new features as well. NeoFinder now supports the Internet Access Policy of the powerful Little Snitch security tool. It also works better with song files purchased in Apples iTunes store, and works around a couple of newly discovered bugs in Apples macOS 10.14. Please note: This will be the last NeoFinder version to support Mac OS X 10.7. If you still use that old Mac OS X, please check this NeoFinder version very carefully, and if anything doesn't work for you, please let us know immediately!